Jovian Chronicles Fleet Scale Sakura Preview & Congratulations to TerraForms Terrain for successful Kickstarter Funding in first 22 hours! The latest Jovian Chronicles Fleet Scale 3d model preview is the Sakura Exo-Armor for the Venus Faction, with its sleek design and powerful cannons. The Sakura miniature will be 20mm tall, where as the other JC Fleet Scale minis are about 15mm tall on average. Checkout the image below to see how it turned out. 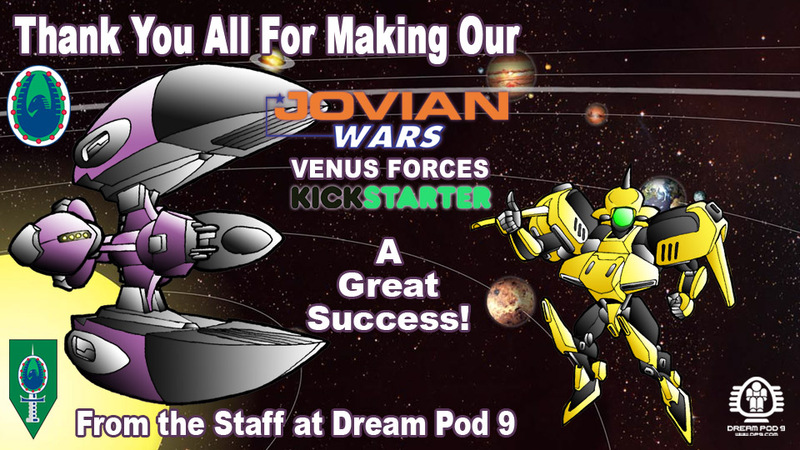 Read more about Jovian Chronicles Fleet Scale Sakura Preview & Congratulations to TerraForms Terrain for successful Kickstarter Funding in first 22 hours! 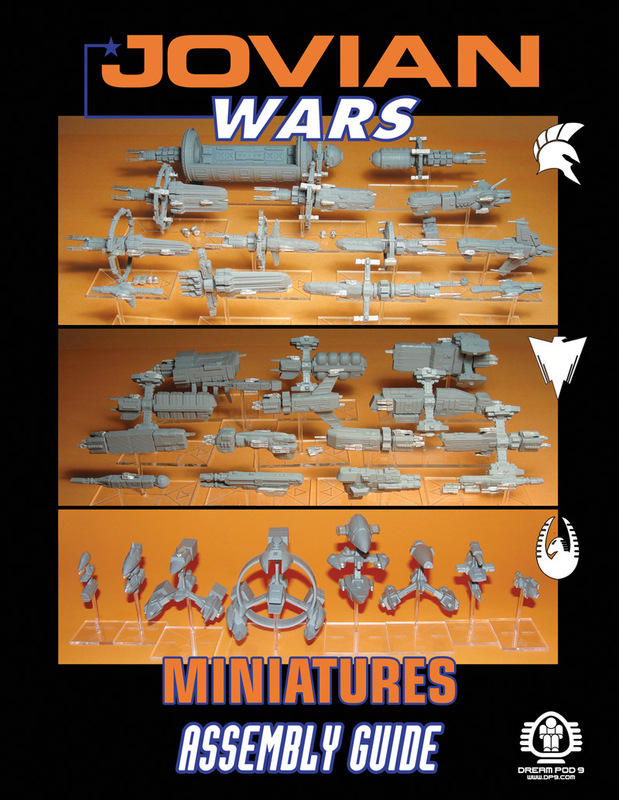 Jovian Chronicles Fleet Scale Stormrider Preview & Other News! We mentioned in an earlier post that Tony had finished up some more 3d models for Jovian Chronicles Fleet Scale. The latest model is the Stormrider Exo-Armor for the Jovian Faction, with its massive fire power. The Stormrider miniature will be 19mm tall, where as the other JC Fleet Scale minis are about 15mm tall on average. Checkout the image below to see how it turned out. 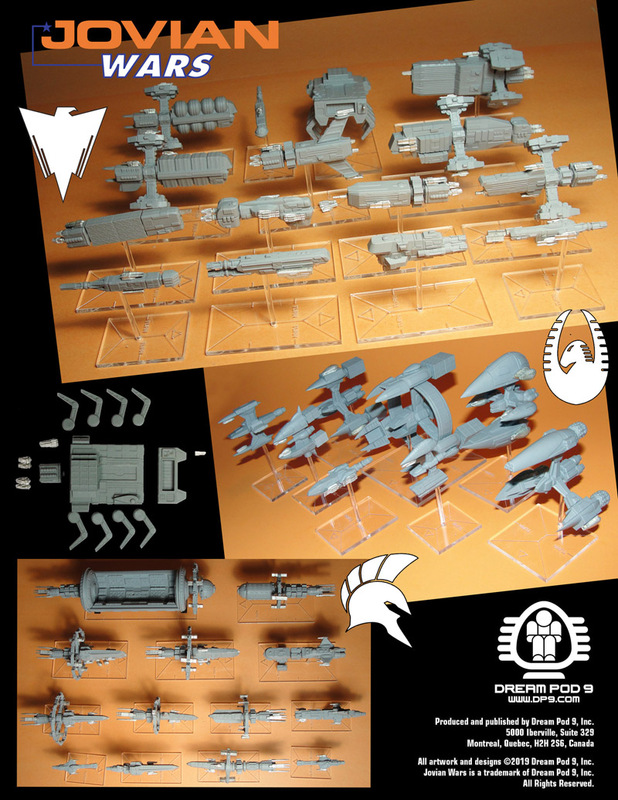 Read more about Jovian Chronicles Fleet Scale Stormrider Preview & Other News! New Heavy Gear Blitz Player Finder Portal on RUMBL! Dream Pod 9 is happy to announce that we are partnering up with the recently launched RUBML player finder website. We had them setup a Heavy Gear Blitz portal on the site this week for our players to register and get their accounts setup. 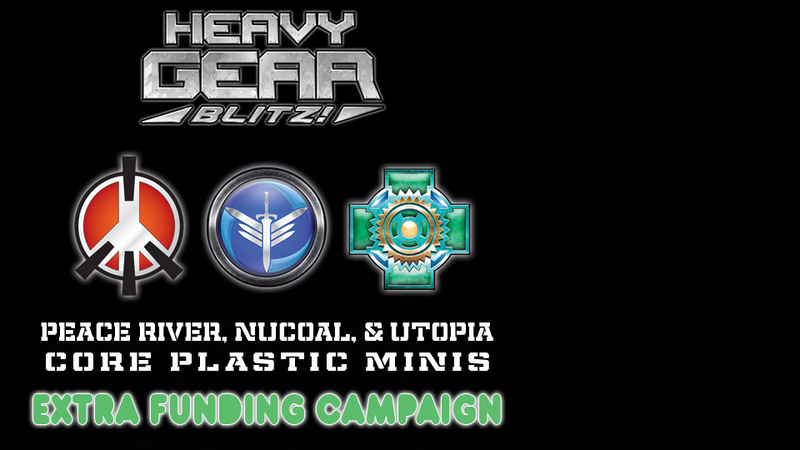 So we can all start building up the Heavy Gear community before the new plastic miniatures are shipped out to all our Kickstarter Backers this summer and the retail versions and new quick start rulebook hit stores this fall. Read more about New Heavy Gear Blitz Player Finder Portal on RUMBL! Kickstarter Update: Final Plastic Test Pops - Assembled Southern Minis Preview! Just another quick update today with a preview of the assembled Southern Army plastic minis from the final test pops. We took a lot of photos (see below) to show how they turned out before they are sent next week to be painted for the photo on the Southern Army retail box. 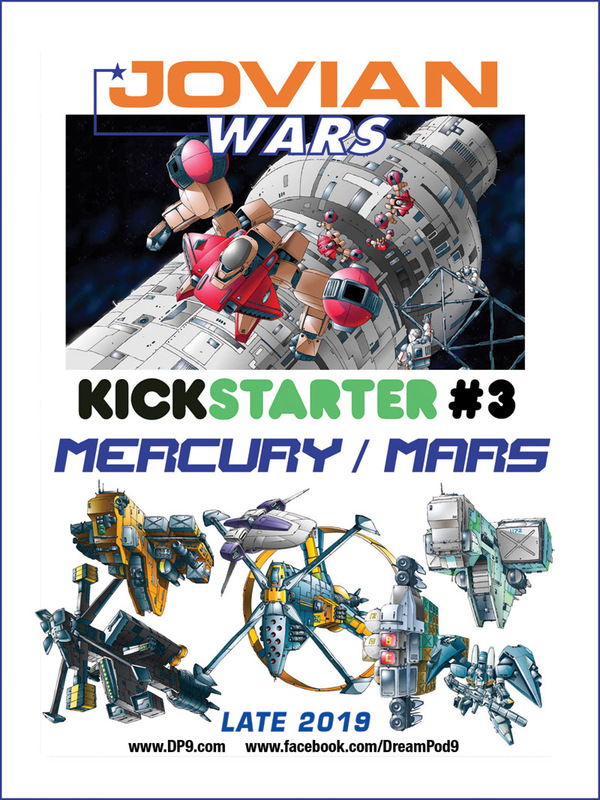 Read more about Kickstarter Update: Final Plastic Test Pops - Assembled Southern Minis Preview! JC Fleet Scale Dragonstriker Preview! Tony finished up a few more 3d models for Jovian Chronicles Fleet Scale, which we'll preview over the coming weeks. The latest model is the Dragonstriker Exo-Armor for the CEGA Faction, which is their big bad boy. The Dragonstriker miniature will be 22mm tall, where as the other JC Fleet Scale minis are about 15mm tall on average. Checkout the image below to see how it turned out. Read more about JC Fleet Scale Dragonstriker Preview! Kickstarter Update: Final Plastic Test Pops - Assembled Northern Minis Preview! Just a quick update today with a preview of the assembled Northern Army plastic minis from the final test pops. We took a lot of photos to show how they turned out before they are sent off later this week to be painted for the photo on the Northern Army retail box. Click on the images below to open larger versions of the photos. Read more about Kickstarter Update: Final Plastic Test Pops - Assembled Northern Minis Preview!